Throughout history, mankind has always strived to push beyond its limits, to conquer the unknown, and to create something greater than itself. This dream that has pushed our advancements to unbelievable heights is not easily captured, though adventure and discovery are still to be had, if one knows where to look. In Sid Meier’s Civilization: A New Dawn, an undiscovered world lays before you, and your people look to you for guidance. Your dream is at the height of its potential; what will you do next? 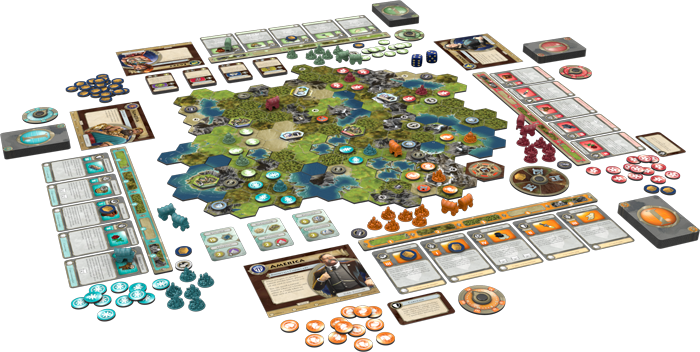 As you prepare to lead your people into the new age, Fantasy Flight Games is pleased to offer you a closer look at exactly how you define your legacy, advance your empire, and build the impressive wonders that let all the ages of the world know yours is the greatest civilization that has ever been. Let's take a closer look at these wonders, which make up the heart of Sid Meier’s Civilization: A New Dawn!